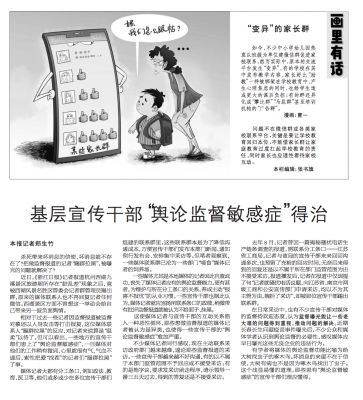 In a post earlier this week, we took a look at an article the latest edition of Seeking Truth (求是) journal by the president of Xinhua News Agency, Cai Mingzhao (蔡名照), which sought to unpack the “spirit” of President Xi Jinping’s speech last month to a national conference on propaganda and ideology. Cai’s article laid the official discourse on thick, emphasizing the core status of President Xi Jinping and his banner term (旗帜语), “Xi Jinping Thought of Socialism With Chinese Characteristics for the New Era.” He also stressed the importance of what is now being called the “15-character mission,” or shiwuzi shiming renwu (15字使命任务). 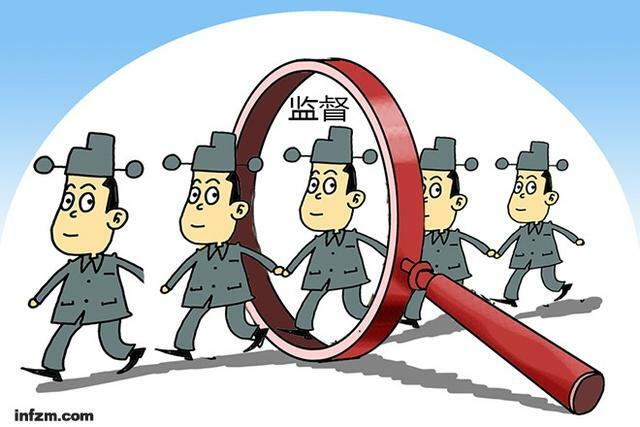 An article in the August 31 edition of Xinhua Daily Communication is titled: “Grassroots Propaganda Offices Must Cure ‘Sensitivity to Supervision'”. How odd it seems then that it is also Cai Mingzhao’s own Xinhua News Agency that in recent weeks has bemoaned the fact that journalists, particularly at the local level, not longer criticize Party and government officials. On August 31, in the wake of Xi Jinping’s address to the work conference on propaganda and ideology, Xinhua Daily Communication (新华每日电讯), a paper published by the news agency since 1993, ran a piece that criticized local officials in China of “having a sensitivity toward supervision by public opinion” (舆论监督敏感症). It bemoaned the fact that certain media, and particularly journalists working at the local and regional levels (as opposed to the center), have “lost their capacity to conduct supervision by public opinion.” They have, instead, “nurtured the habit,” said the paper, of “reporting only the good news, not the unpleasant news,” or baoxi bu baoyou (报喜不报忧). In the West, the notion of “watchdog journalism,” that journalism plays an important role in holding institutions accountable, is subject to considerable discussion and debate. But whether or not one accepts this “normative vision” of journalists in pursuit of the public interest, few certainly would take seriously the notion that enforcing broad uniformity of political views around a single political figure could encourage or ensure accountability within a political system. In China, this idea is not just taken seriously; it is regular feature of discourse about the role of the press and of journalism. The Chinese Communist Party has deep tradition of media control. Think of the way Cai’s recent statement in Qiushi about the need for “politicians to run the news agency” recalls Mao’s language about “politicians running the newspapers,” meaning that the press should be wielded as a tool of the Party. But there is also a coexisting notion that the media should, empowered by the Party, serve a supervision role as well. One of the most important phrases to encompass this idea is “supervision by public opinion,” or yulun jiandu (舆论监督), a difficult term to come to grips with within a system that does not have a robust system of press supervision. At times, the term “supervision by public opinion” can denote the exposure at one stratum of political power of negligence or misconduct at a lower stratum. More often than not, however, the exposure isn’t of misconduct within the Party or government at all, but of corporate or individual misconduct. Think of the way, for example, that China Central Television recently exposed — once again — possibly fraudulent doctoring of health related search results by the Chinese search engine giant Baidu. Since Xi Jinping came to power in late 2012, in-depth and investigative reporting have become extremely difficult in China. And though the disruption of the news industry by digital platforms, and changing commercial models, may have some role in shaking up the practice of journalism, the primary cause is without a doubt the intensification of controls on reporting, and on information more broadly. Xi Jinping has redoubled the emphasis on the primacy of the Chinese Communist Party, telling media in March 2016 that they must be “surnamed Party.” He has stressed that reporting must “spread positive energy,” or zhengnengliang (正能量).